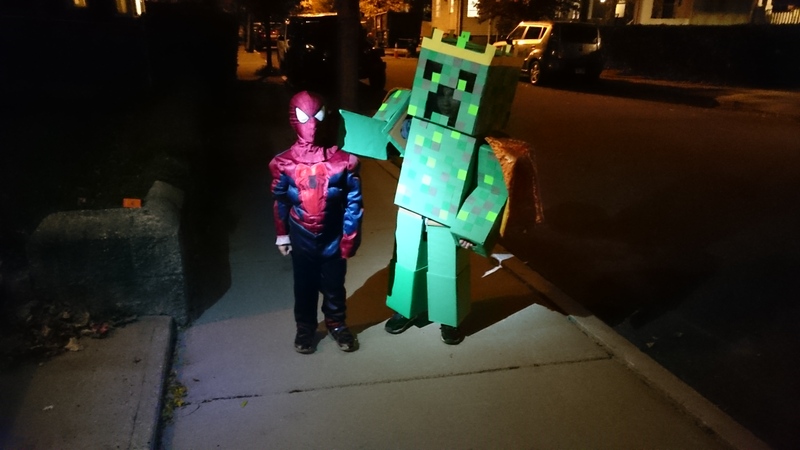 Monty made Denton a "King Creeper" costume for Halloween. It's mostly cardboard and hot glue. A success presentation-wise, though the knee hinging was undebugged, and meant that climbing stairs was almost prohibitively difficult. Denton is the mortal enemy of my sister's family!